After a rather stressful day, I craved for a smoky, spicy and nutritious soup. The thought of a quick fresh Okra soup got my taste buds tingling. A quick dash to my local grocers and fishmonger helped with stocking on Okra, Seabream and smoked Cod. Within few minutes of uploading images to my Instagram and Facebook page, have I been asked for the recipe. Here you go, enjoy. 800ml of Chicken / Vegetable stock / water. Add water to a saucepan and bring to a boil. Add your washed Cocoyam leaves (Kontomire), stir till it's fully incorporated into the hot water. Cook for 4 minutes and strain using a colander. Once the water is boiled, turn the heat off, then add the Spinach. Stir the washed Spinach (using a wooden spoon) into the hot water for 30 seconds. Use a colander to strain off the hot water. run your respective choice under very cold water, ( this stops the Cocoyam leaves (Kontomire) or Spinach from cooking further and to keep it's green colour). Place a saucepan on a medium heat. Add the chicken stock and bring it to the boil. (recipe for homemade Chicken stock is available on my blog). You can use any stock of your choosing or water. Add the bicarbonate soda , stock cube, half a teaspoon of salt and mix well. Add your chopped blanched Spinach, stir and cook for 3 minutes. Turn the heat off and leave to rest or 3 minutes before serving. I enjoyed this on it's own, however try it with steamed rice , Banku (A Ghanaian steamed dumpling ball made from fermented corn and cassava), Akple ( made from milled sun dried corn) or Kenkey. You can substitute the fish for Poultry and meat. Good healthy quick fix recipes. Just to add on/ suggest. 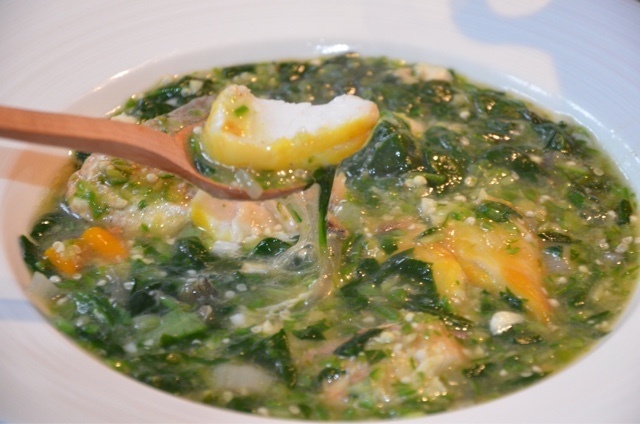 :instead of cooking the spinach 2 minutes and adding to the soup to cook again, you can also after rinsing , chop the fresh spinach and add to the soup 2 minutes before its done. 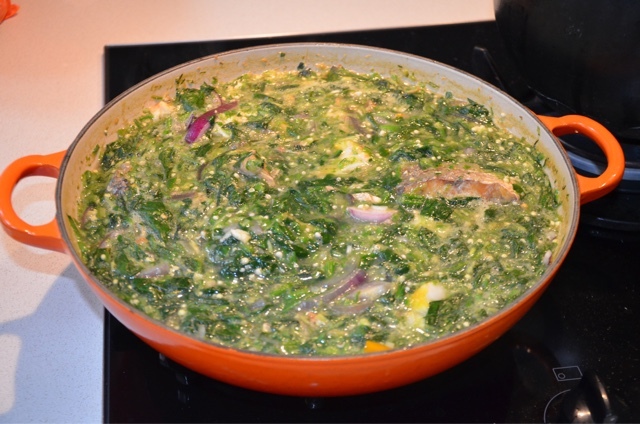 Rationale:overcooking the spinach destroys most of the nutrients and pre-cooking and pouring the water away , you also losing important nutrients. Thanks. 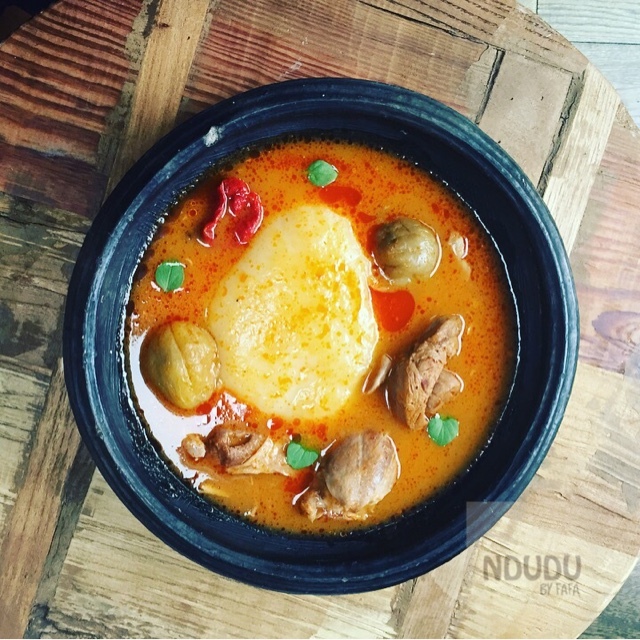 I enjoyed this just on it's own, however try it with steamed rice, Banku a Ghanaian steamed dumpling ball composed of fermented corn and cassava, Akple made from milled sun dried corn and Kenkey. When i relished that alone, even so try it out having steamed rice, Banku (Some sort of Ghanaian steamed dumpling baseball constructed from fermented hammer toe in addition to cassava), Akple (constructed from milled solar dry hammer toe) or maybe Kenkey. 'Hammer toe' ? Is your comment meant to offend? Typically the domestic hot water for the purpose of 20 a few seconds. Have a colander towards kind there are various domestic hot water. All contents are by the owner of this blog. Simple theme. Powered by Blogger.